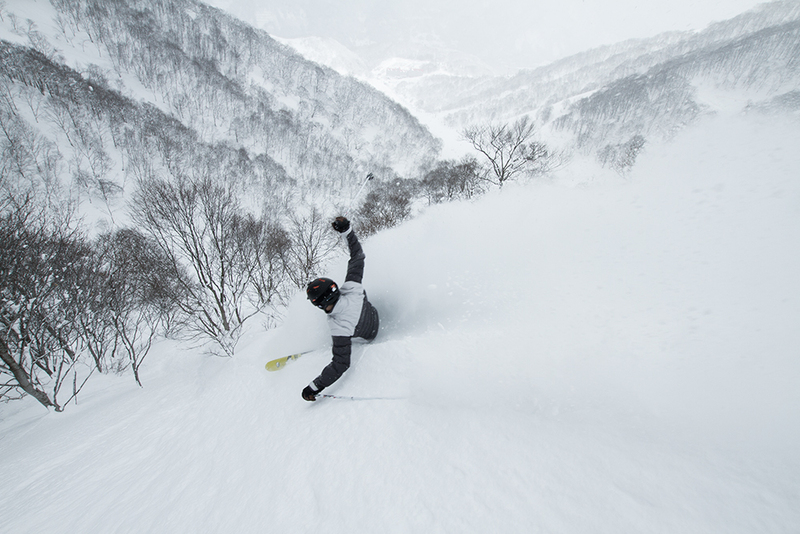 Japan has some of the deepest, driest powder in the world. 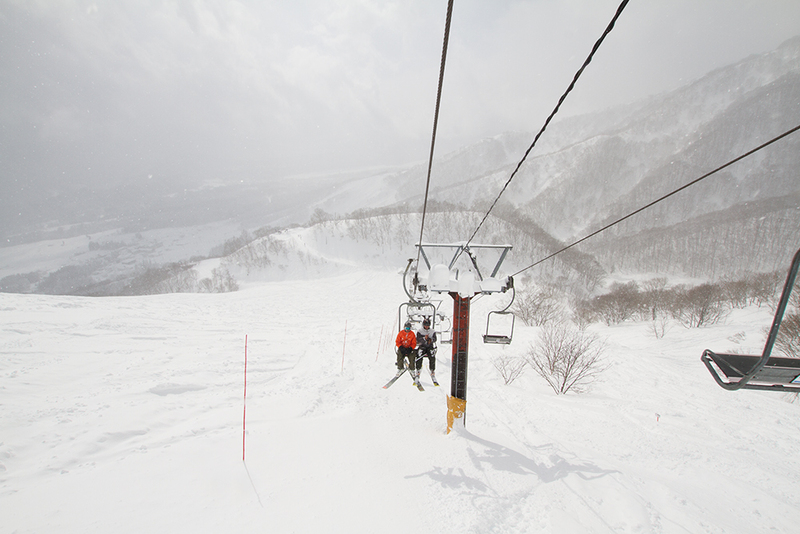 Skiing Hakuba should be on everyone's bucket list. Select a trip below to see details and pricing. Meet your group in the Narita airport just outside of Customs in Terminal 1 by 5pm. We will travel by private bus from Narita International Airport to Morino Lodge in Hakuba. Along the way, we will stop for dinner at one of the many impressive Japanese B-kyū gourmet rest stops featuring regional cuisine made fast. 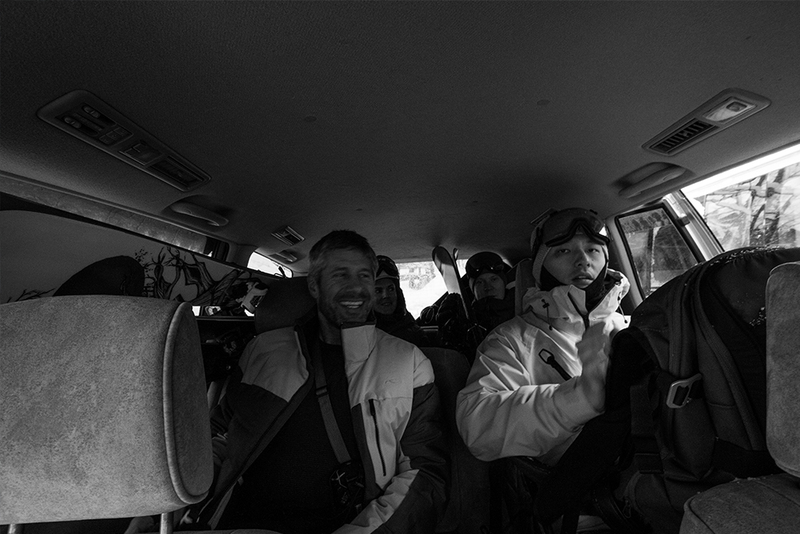 We'll arrive in Hakuba late and head straight to bed to prepare for our first day of riding. We will meet up at 7am for breakfast and a brief information session at the lodge before heading to whichever resort has received the most snow. We'll ski and snowboard all day, grabbing lunch on-hill and heading back to the lodge. Ride with the group or explore on your own, and head back whenever you are ready. Repeat! If there is fresh powder, we may grab a van and head to the north side of the valley for a day of tree riding at the beautiful but strangely European Cortina Resort. 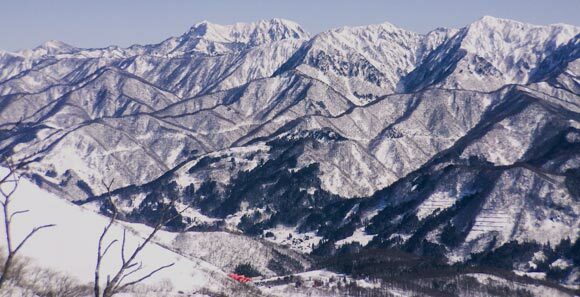 Bring a backpack with a change of clothes and take a dip in the beautiful onsen with views of skiers while you soak. Meet up for breakfast at 7am and check the weather. 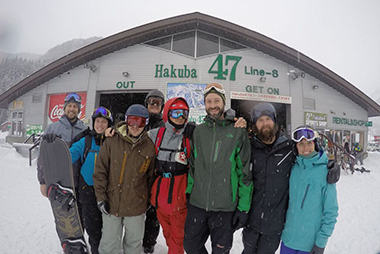 Today may be a great day to grab a shuttle and explore the long, open runs at Tsugaike or sit in for the 20 minute safety course before attacking the the tree zones in your matching vests at Hakuba 47 (watch out for wild animals!). On your way home, stop for a soak at a local onsen to relax before a group dinner reservation. Depending on the weather and the group’s needs, we will likely take this or the following day to tour Nagano. We’ll eat breakfast and meet in the lobby at 7am and board a private bus to Jigokudani Monkey Park. After the snow monkeys, we’ll tour (and taste!) a sake distillery and one of the few microbreweries in Japan. We will then feast on sushi delivered via conveyor belt before exploring Zenkoji Temple, one of the oldest and most important Buddhist temples in the country. Upon return to the lodge, you'll be responsible for your dinner plans, we are happy to help make a reservation in advance. Meet up for breakfast and choose your own adventure. Grab the shuttle back to your favorite resort or walk over to Happo One for a final day of riding. Once your legs are tired, head back to the lodge and pack your bags so we can ship them straight to the airport. We'll celebrate our last night in Hakuba with a traditional Nabe dinner at the Morino Lodge. Travel by public bus and train from Hakuba to Shinjuku Station in Tokyo. You'll enjoy a full afternoon and long neon night exploring Tokyo. Grab noodles in Omoide Yokocho (more colorfully referred to as Piss Alley), catch the Robot Show and stroll through Yoyogi Park. This will be a great opportunity to pick up gifts for your friends and family. Enjoy your last morning in Japan with a walk through Shibuya and Harajuku, where Japanese fashion will be on full display. Reserve your space on the airport limousine (which you can catch near the hotel) and prepare for your flight out of Narita or Haneda airport. If you shipped luggage, you'll pick it up from the Black Cat service station in your terminal. Enjoy your last bowl of soba and a chair massage before heading home. Seven nights in Japan (six at Morino, one night at a Tokyo hotel) in a double room. 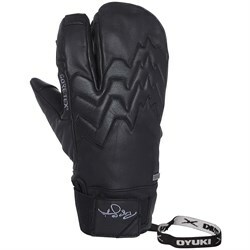 Every evoTrip Hakuba traveler will be kitted out with some sweet gear from our partners, Airblaster, Dakine, and Oyuki. So not only do you get to come ride some of the best snow on the planet, you'll take home some goodies that you can use far beyond the trip! We love this Japan ski trip for its mix of skiing, snowboarding, delicious food, rural and urban experiences. All levels of skiers and snowboarders are welcome. You don't need to be an advanced or expert skier or snowboarder to have a good time on this ski trip to Japan. However, if you are an expert you won't be disappointed because there is terrain for everyone. 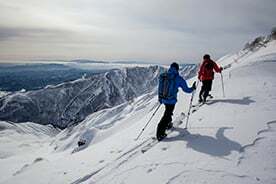 Ski the resort or if the conditions are right there are plentiful back-country options. 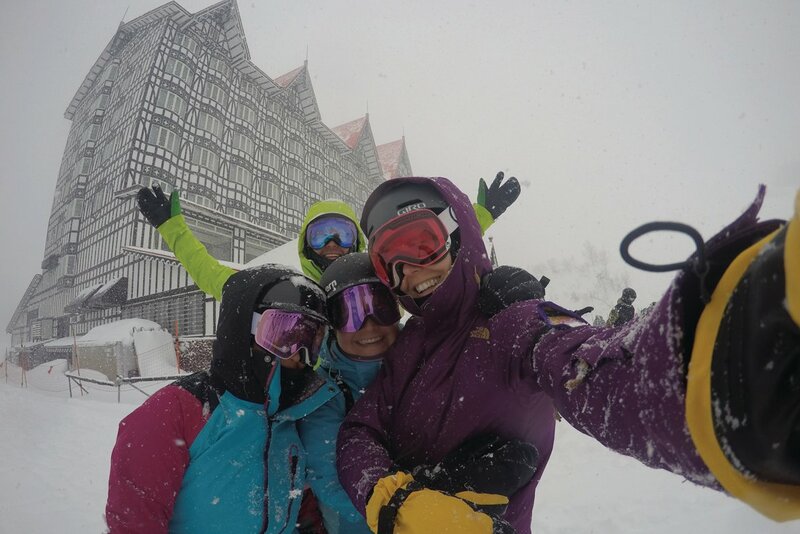 Spend time with the group or do your own thing.The Hakuba valley offers many restaurants and nightlife options. There is tons to explore. Both Morino and Wadano Lodges are modest yet comfortable with both Japan and American style rooms. The Japan ski trip agenda is loose and the options are endless. 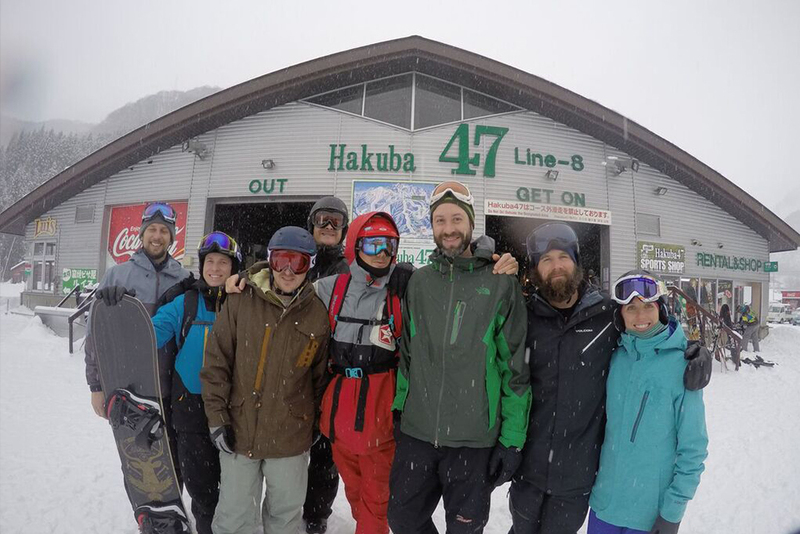 Our Hakuba, Japan ski & snowboard trip is unique in that it's tailored for people seeking a new adventure that love to soak up new cultures, great food, skiing and snowboarding, and of course, love meeting new people along the way. 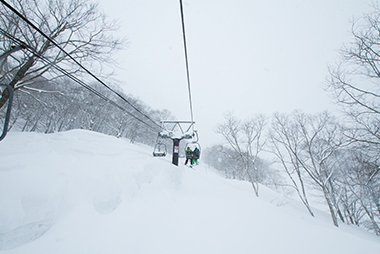 Check out all of our Japan ski & snowboard trip packages for more great trips. 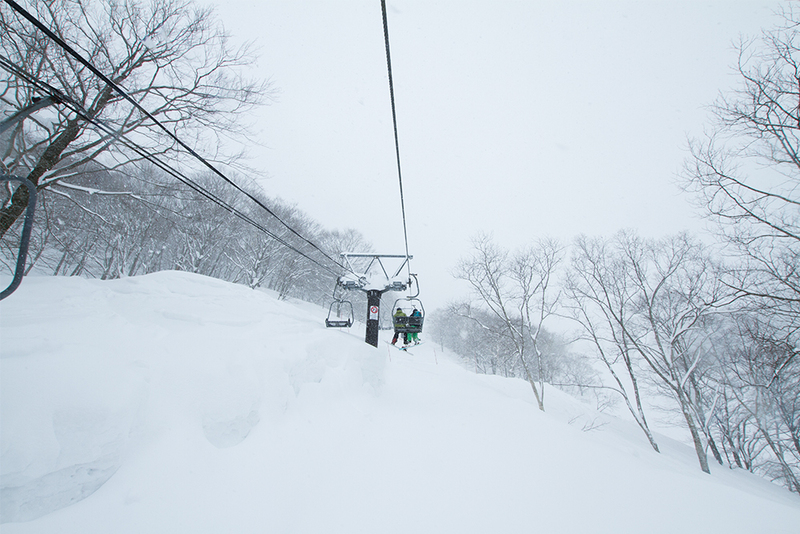 Due to the epic snowfall in Japan, we suggest packing powder skis or boards. It can get pretty cold and windy as well, so be sure to bring layers and be prepared for heavy winter conditions. Off of the mountain, bring comfortable layers for sitting seiza-style and slippers as the lodge will not allow shoes inside. 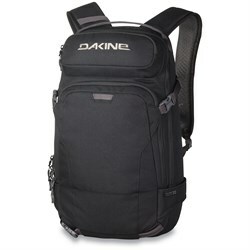 Learn more about traveling with your gear here! Yes. If you have a roommate request, please let us know. By default, we will place two people per room with two beds, but we may have the ability to place 3 or 4 together as well. Can I book a private room? Yes, based on availability. Single Occupancy rooms may be available at an additional cost of $500. Please check in with Customer Care before booking if this will determine your participation. 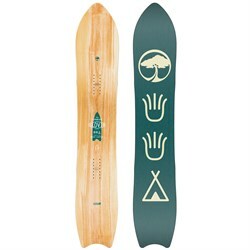 I am a beginner / intermediate / advanced level of skier / snowboarder. Will there be terrain for me? Yes. All levels of skiers and snowboarders are welcome. You don't need to be an advanced or expert skier or snowboarder to have a good time on this trip. However, if you are an expert you won't be disappointed because there is terrain for everyone. Ski the resort, the parks or if the conditions are right there are plentiful backcountry options. Spend time with the group or do your own thing. Can I (or my partner) come even if I don't ski or snowboard? Yes. The primary activity on these trips is skiing/snowboarding; however, there may be options if you or your loved one does not currently participate. There are English-speaking ski schools in Hakuba, you can sign up for lessons and rentals at an additional cost (we can help book this). For folks not interested in learning to ski / snowboard, we may be able to help coordinate other activities, such as visits to a spa, yoga or snow shoeing. This trip includes: Transportation by private coach from the airport to Morino Lodge and from Morino Lodge to Tokyo. Six nights stay at Morino Lodge, one night stay at a hotel in Shinjuku, Tokyo. All breakfasts at Morino Lodge and one group dinner at Morino Lodge. Four days of skiing at the surrounding resort of your choice (there are variety of resort options in both Myoko and Hakuba. While evo will typically suggest one for the group to visit based on the weather and terrain, you will have your own option each day). A tour through Nagano to visit the famous snow monkeys, tour Zenkoji temple, visit a sake distillery and eat a traditional Japanese lunch. 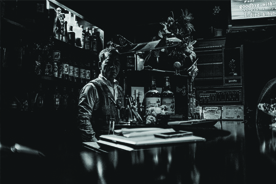 Recommendations for food / drink and entertainment in Hakuba and Tokyo. What is NOT included in this trip? Airfare – you will cover your own airfare for the trip, you must arrive at Narita Airport by 5pm on Sunday of your trip start. 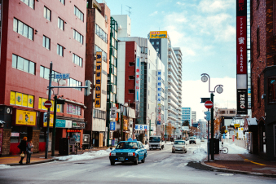 Most lunches and dinners – we will provide recommendations and some of the ski resorts include lunch with their lift tickets, but any expenses will be out of pocket.Transportation from Tokyo to Narita (options include bus, train or taxi and cost approximately $35). Taxi rides or any transportation in Tokyo. We recommend that you purchase travel insurance to protect your flight and belongings as well as cover medical expenses. We recommend planning to spend $300-$500 on meals, drinks, entertainment and gifts. You can find a complete gear list above. 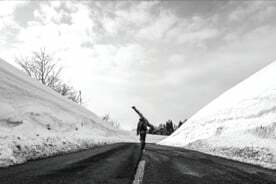 Some people bring more than one snowboard / skis (one for powder, one for all-mountain), this is not a requirement. Bringing two pairs of skis can potentially put your bag over weight and be expensive. Will we be able to wash our clothes? Yes. All of the Morino Lodges have laundry facilities available. 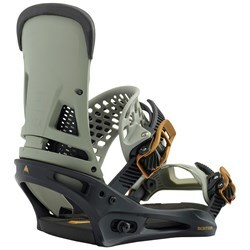 I am going to come early / stay longer; can I do something with my snow gear? Japan has an incredible luggage delivery service (Black Cat) that you can take advantage of for about $50. If you arrive early, you can send your snow gear to the lodge from the airport. If you are staying longer, you can have your luggage delivered to the airport ahead of your arrival. We can give you all the information to coordinate this. I am gluten-free / vegetarian / halal/kosher… will there be food options available for me? Yes, and… For meals provided by the lodge/evo (breakfasts and one dinner), there will be options available. Gluten Free: It is difficult to avoid gluten in Japan, but it is possible. We recommend that you bring your own soy sauce and some snacks, as you will eat a lot of rice dishes. Being a vegetarian in Japan is easy. We will provide you with a card that will alert restaurants/grocers to your needs and most locations will be accommodating. Halal & Kosher while there are a limited number of Halal and Kosher restaurants in Japan, there will be many meal options available by avoiding meat. For all dietary restrictions, we recommend that you bring some snacks just in case. The deposit for the trip is non-refundable and cancellations will be subject to a cancellation fee (see policy below). For this reason, we recommend you consider purchasing travelers insurance, which will cover the cost of your trip in extenuating circumstances. All cancellations must be submitted to evo in writing, are effective as of the date we receive them according to our internal records, and will be subject to a cancellation fee as follows (amounts are per person and only apply to amount paid after the non-refundable deposit amount): Cancellation 60 days or more prior to trip departure - Non-Refundable Deposit. Cancellation between 30 and 59 days prior to trip departure - 50% of total booking cost. Cancellation less than 30 days prior to departure - 100% of total booking cost. Cancellation policy for custom trips may differ from these terms and will be communicated prior to booking No refunds will be made if you voluntarily leave a trip for any reason after the trip has begun. The same applies if you leave a trip or cannot fully participate in a trip due to injury or illness. Refunds will be at the discretion of the Company if you are involuntarily forced to leave a trip for any reason. No refunds will be made for any accommodation, transport, sightseeing, meals or services not utilized. Can I just pay the full amount now? // When is the full amount due? Yes. You can pay the full amount now, but we will consider $1,000 to be a non-refundable deposit in accordance with the contract.The full payment is due 60 days prior to departure. You are responsible for booking your own travel and you must meet your group at Narita Airport outside Customs in Terminal 1 by 5pm on Sunday. evo made it possible for my husband and I to have a great trip in a short amount of time by handling all the logistics and planning. This is a great way to experience Japan riding for the first time. Awesome accommodations (real, down to earth staff that really try and make sure you have the best experience possible.) Great evo group leaders. I loved that everything was so planned out for us in a foreign country that we don't speak the language. I loved the lodge and the owners Matt and Craig were so great, if I ever went back to Japan on my own I would definitely stay at their lodge. January 27 Meet your group in the Narita airport just outside of Customs in Terminal 1 by 5pm. 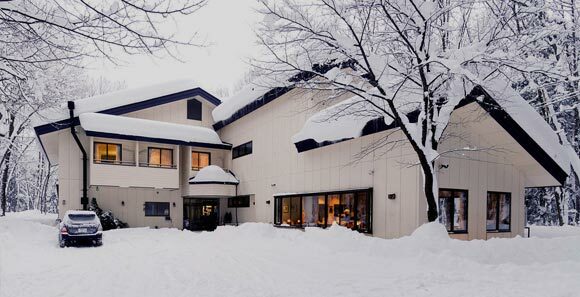 We will travel by private bus from Narita International Airport to Morino Lodge in Hakuba. Along the way, we will stop for dinner at one of the many impressive Japanese B-kyū gourmet rest stops featuring regional cuisine made fast. We'll arrive in Hakuba late and head straight to bed to prepare for our first day of riding. January 28 We will meet up at 7am for breakfast and a brief information session at the lodge before heading to whichever resort has received the most snow. We'll ski and snowboard all day, grabbing lunch on-hill and heading back to the lodge. Ride with the group or explore on your own, and head back whenever you are ready. Store your gear in the dry room and get comfortable, perhaps grabbing a snack or happy hour at Morino or the Black Diamond next door. We will make a group reservation and you are welcome to join or make your own plans for dinner. January 29 Repeat! If there is fresh powder, we may grab a van and head to the north side of the valley for a day of tree riding at the beautiful but strangely European Cortina Resort. Bring a backpack with a change of clothes and take a dip in the beautiful onsen with views of skiers while you soak. We will make dinner reservations for two groups on this evening, you'll have a choice of sushi or Japanese BBQ. January 30 Meet up for breakfast at 7am and check the weather. Today may be a great day to grab a shuttle and explore the long, open runs at Tsugaike or sit in for the 20 minute safety course before attacking the the tree zones in your matching vests at Hakuba 47 (watch out for wild animals!). On your way home, stop for a soak at a local onsen to relax before a group dinner reservation. January 31 Depending on the weather and the group’s needs, we will likely take this or the following day to tour Nagano. We’ll eat breakfast and meet in the lobby at 7am and board a private bus to Jigokudani Monkey Park. After the snow monkeys, we’ll tour (and taste!) a sake distillery and one of the few microbreweries in Japan. We will then feast on sushi delivered via conveyor belt before exploring Zenkoji Temple, one of the oldest and most important Buddhist temples in the country. Upon return to the lodge, you'll be responsible for your dinner plans, we are happy to help make a reservation in advance. February 1 Meet up for breakfast and choose your own adventure. Grab the shuttle back to your favorite resort or walk over to Happo One for a final day of riding. Once your legs are tired, head back to the lodge and pack your bags so we can ship them straight to the airport. We'll celebrate our last night in Hakuba with a traditional Nabe dinner at the Morino Lodge. February 2 Travel by public bus and train from Hakuba to Shinjuku Station in Tokyo. You'll enjoy a full afternoon and long neon night exploring Tokyo. Grab noodles in Piss Alley, catch the Robot Show and stroll through Yoyogi Park. This will be a great opportunity to pick up gifts for your friends and family. February 3 Enjoy your last morning in Japan with a walk through Shibuya and Harajuku, where Japanese fashion will be on full display. Reserve your space on the airport limousine (which you can catch near the hotel) and prepare for your flight out of Narita or Haneda airport. If you shipped luggage, you'll pick it up from the Black Cat service station in your terminal. Enjoy your last bowl of soba and a chair massage before heading home. Seven nights in Japan (Wadano Lodge, one night at a Tokyo hotel) in a double room. Airfare to Narita International Airport. Our staff may be able to support you in selecting a flight. February 3 Meet your group in the Narita airport just outside of Customs in Terminal 1 by 5pm. We will travel by private bus from Narita International Airport to Morino Lodge in Hakuba. Along the way, we will stop for dinner at one of the many impressive Japanese B-kyū gourmet rest stops featuring regional cuisine made fast. We'll arrive in Hakuba late and head straight to bed to prepare for our first day of riding. February 4 We will meet up at 7am for breakfast and a brief information session at the lodge before heading to whichever resort has received the most snow. We'll ski and snowboard all day, grabbing lunch on-hill and heading back to the lodge. Ride with the group or explore on your own, and head back whenever you are ready. Store your gear in the dry room and get comfortable, perhaps grabbing a snack or happy hour at Morino or the Black Diamond next door. We will make a group reservation and you are welcome to join or make your own plans for dinner. February 5 Repeat! If there is fresh powder, we may grab a van and head to the north side of the valley for a day of tree riding at the beautiful but strangely European Cortina Resort. Bring a backpack with a change of clothes and take a dip in the beautiful onsen with views of skiers while you soak. We will make dinner reservations for two groups on this evening, you'll have a choice of sushi or Japanese BBQ. February 6 Meet up for breakfast at 7am and check the weather. Today may be a great day to grab a shuttle and explore the long, open runs at Tsugaike or sit in for the 20 minute safety course before attacking the the tree zones in your matching vests at Hakuba 47 (watch out for wild animals!). On your way home, stop for a soak at a local onsen to relax before a group dinner reservation. February 7 Depending on the weather and the group’s needs, we will likely take this or the following day to tour Nagano. We’ll eat breakfast and meet in the lobby at 7am and board a private bus to Jigokudani Monkey Park. 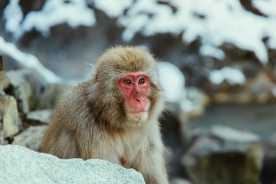 After the snow monkeys, we’ll tour (and taste!) a sake distillery and one of the few microbreweries in Japan. We will then feast on sushi delivered via conveyor belt before exploring Zenkoji Temple, one of the oldest and most important Buddhist temples in the country. Upon return to the lodge, you'll be responsible for your dinner plans, we are happy to help make a reservation in advance. February 8 Meet up for breakfast and choose your own adventure. Grab the shuttle back to your favorite resort or walk over to Happo One for a final day of riding. Once your legs are tired, head back to the lodge and pack your bags so we can ship them straight to the airport. We'll celebrate our last night in Hakuba with a traditional Nabe dinner at the Morino Lodge. February 9 Travel by public bus and train from Hakuba to Shinjuku Station in Tokyo. You'll enjoy a full afternoon and long neon night exploring Tokyo. Grab noodles in Piss Alley, catch the Robot Show and stroll through Yoyogi Park. This will be a great opportunity to pick up gifts for your friends and family. February 10 Enjoy your last morning in Japan with a walk through Shibuya and Harajuku, where Japanese fashion will be on full display. Reserve your space on the airport limousine (which you can catch near the hotel) and prepare for your flight out of Narita or Haneda airport. If you shipped luggage, you'll pick it up from the Black Cat service station in your terminal. Enjoy your last bowl of soba and a chair massage before heading home. Seven nights in Japan (six at Morino Lodge, one night at a Tokyo hotel) in a double room.